You won"t even bother denying it: you"re somewhat of a coffee snob and have a particular bean-to-water ratio of choice. This new coffeemaker called Bruvelo promises to make it a lot faster to mix your perfect cup -- you don"t even have to do anything other than to press a few buttons in an app. According to its Kickstarter page, Bruvelo can filter water, weigh and grind beans, dispense the right amount of water and ground coffee, as well as maintain the brew"s temperature at 199 degrees Fahrenheit. (Yes, you can use any bean you want -- it"s not going to limit your choices like that one popular high-tech coffee machine.) You merely have to choose among the preconfigured "flavor profiles" (Delicate, Balanced or Robust) or program your own within the app: Bruvelo then receives your commands via WiFi and does the actual work for you. 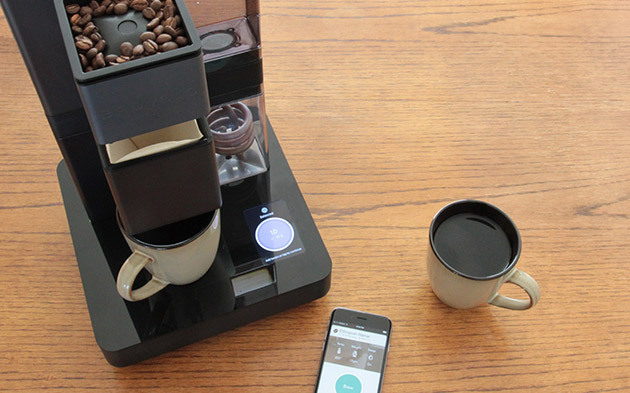 You can get this app-controlled coffeemaker by June 2015 at the earliest if you pledge $300 now, though its campaign must reach its $150,000 goal for production to begin.